A wife of 31 years, mother of 3 gorgeous daughters, grandmother of Kadence, Miles, Khoyn, Carter, Ellis and Anthony. 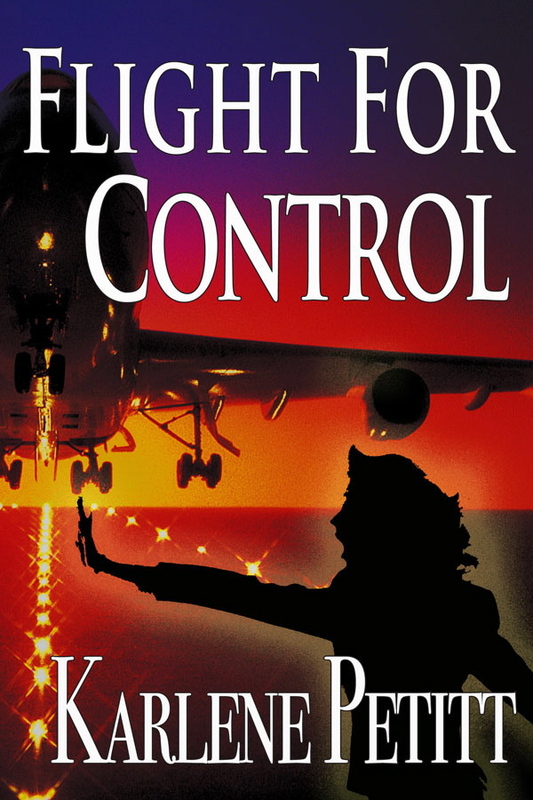 A pilot for 8 airlines, 7 type ratings, 2 masters degrees, and my 1st novel, Flight For Control, is published! I am now flying the Airbus A330 for a major airline. My writing career has taken off. Flight For Control is published. America West Simulator Instructor 737 and 757. Guyana 757 Director of Training/ Check Airman/ Instructor. Tower Air 747 FO. Northwest Airlines 747 SO/Instructor/ Check Airman and 744 FO. Currently flies an A330 for an International Airline. Premair simulator instructor… for a little over 21 years. I'm looking forward to coming full circle and begin flying small planes again. Typed: A330, B744, B747, B757/767, B737, B727. Airline training manuals, company procedures, LOFT scenarios, many term papers, and a thesis or two. CIO, the original corporate identity, was named for my belief system: 'Crisis Is Opportunity.' Doing Business As Contract Aviation Services. I create flight training programs, write manuals, and work with pilots to help them achieve their dreams in aviation. Simulator instruction, tutoring, coaching, prepping for an interview and ultimately help them connect with employment opportunities. While I'm still available for teaching, training and manual writing, and the previous year of my life has taught me once again that I can turn any crisis into an opportunity, I have expanded into helping new authors give wings to their dreams through Jet Star Publishing. Days off you can find me writing or playing with the grand kids, at the movies with my husband, beating him at scrabble, painting, reading, cooking, dreaming about living in the mountains, up-side-down in a yoga class, taking long walks, or working in the garden. The release of my second novel: Flight For Safety. The release of Flight To Success. 10% of profits will go to Aviation High School, Women With Wings. As a fellow writer and travel friend, I can comment that your ability to handle complex issues, whether about character and plot arcs or about aviation skills, is outstanding. I know people who choose to work with you will be very happy with the results they get! Linda, Thank you. Now... we just have to get them to buy the novel too! Thanks so much! Congratulations, Karlene, on a great blog site! Your energy is so positive that I'm confident you will achieve everything you set out to do. Best wishes! Thank you Jule! My success is a result of friends like you, with your support and encouragement. I appreciate your confidence so much! Karlene, I know you can do anything, from building a walk-in closet (!) to helping me checkout as 747 captain! You are an awesome instructor, pilot, woman & friend. Oh,and author! Kathy, you are too sweet. And, my new PR assistant! You are going to be featured on one of my blogs. Will email you with more about that. Thank you for dropping by. Thank you for being such an inpsiration to others, especially women! Karlene, I have a lot to learn from you, my friend. Happy Birthday Mom ! I miss you and love you. Fly safe and I'll see you when you get home again. Karlene, Happy Birthday from another "mature" aviator! You're a model for women across the globe and my daughter. You go girl! Happy Mother's Day from row 7A. Thank you Jamie!! What a nice comment! Happy Mothers Day to you too!!! Thank you Rodolfo for the nice comment! I hope you can get my book too! It's not published yet...but more comments like that... it won't be long! I'll send you an autographed copy! Have a wondderful day! And enjoy that baby and your 737! Both are a wonderful journey! Wow Karlene, reading this, I could only think of one word to describe you - amazing!! Thank you Jennifer! I can think of another word... tired. lol. Soon you'll be in the sky! I started my granddaughters early. They love to go to the museum of flight. They ask to go. How can I deny them. They particularly love the simulator. After 7 consecutive rolls, I said we must fly right side up for a while. The 5 year old was on the stick giggling. I was the passenger, crying like a baby. And I have tickets for them. Email me at Karlene.Petitt@gmail.com They can come to the Seattle Museum of Flight! 1. Has your novel been released? If not, when will it be? 2. Delta is no longer the worlds biggest airline. United/Continental is/are. Hey Anonymous... Novel not published but ready for the agents. And I corrected the largest airline comment. Conited is now the largest! I think your secret for success is passion and love for what you do. What an inspiring model to follow. Will your novel be released only in the US? Thank you Mario! Oh no... I'm hoping my novel is released everywhere. Time will tell. If not... I ship. :) I'll have book signings on my layovers. Hi Piper Mama! I'm looking forward to you reading it too. Published soon. I will keep you posted! Nice to meet you. You're such an inspiration. I'm about to apply to IGRUA. I just wrote 10+2 exam. I was wondering if I should get a degree before getting a CPL. What do you advice? Veena, Thank you so much! UGRUA.. Indira Gandhi Rashtriya Uran Akademi... Flight School... That's great! I think that you should work on your flight training, "while" you get your degree. Your studies, your flight training, the people you meet, the focus... you'll be able to write better papers for your degree, with practical experience with what you want to do, and doors will open connecting the two worlds. Graduate with both a degree and your Pilots license. You can do it!!! I am enthralled to have seen your flight experience. Good wishes, to all the aspiring would-be Pilots. Charan, Thank you so much for the incredible comment! I really appreciate your support, and wish you all the luck in your flying career! And your journey to inspire everyone around you continues. We were classmates in an MBA course (maybe two), but that's not the point. I continue to be your admirer and am inspired by the heights you have scaled. Keep going girl and the very best to you in life from here on till eternity. No I'm not a pilot, but it was my childhood dream to be a pilot ... never realized this dream. Hey Sid!! Thank you so much for the great comment! I am so glad to be living a dream for you. We should all try to remember to be grateful for everything we do because our lives may be someone else's dreams. Nice to see you again! As qualified as you are, as a pilot, Karlene, it speaks volumes for you, as a person, to see that the things you value most are family - Wife, Mother, Grandmum. I admire and commend you for that. Charles, Thank you so much for the very nice compliments. I really appreciate it. Looking forward to knowing you! Karlene, I love your site. You are an inspiration! I am also a woman fighting hard to reach goals I had since childhood--to write and publish my memoir and much more. My every breath is about that and sharing my friendship, love, and wacky sense of humour with as many people as I can. Terry, Thank you so much for the comment. I will come and find you. Not in a stalking way, but we must connect. Thank you for saying hi. Teri, Thank you so very much for the nicest comment. I think there are many times my head is in the clouds, even on the ground. I'm honored you'll be reading my blog. Keep flying on those dreams of words... they will carry you far. Hello mam, my name is Suraj and I am from Bombay, India. I just recently chanced upon your blog, and I must say it's amazing! I usually never go through blogs, but this one is just off the hook! I will go through this as much as it is practically possible :) In this world where success brings along with it tonnes of unwanted attitude and ego, you mam have done the best of what a good human being should be like, a role model so to speak. Even though I don't know you as a person, I hope people like yourself will help aspiring pilots like me reach new heights, making it plausible for us to one day, fly those beautiful jets in the sky. I have sworn to myself, that no matter what, I will fly my baby - The Boeing 777-300ER. I will make it happen someday. And people like you really give me a lot of inspiration & motivation to achieve such a "biblical" task. I already consider you as my friend (hope it's the same on your side too) and you are my GE90-115B :) Take care captain and countless happy landings to you. God speed! Suraj, What a wonderful message. Thank you so much for the kind words of encouragement. I do know what you mean the attitudes of success. But we are all in this life together and together we can work wonders in the world, and all achieve anything. I have not doubt you will reach your dreams, and and continue to inspire others. Perhaps one day we will fly the 777-300ER together. God speed to you my friend. This is Mohan, and we had connected via Linkedin where I added you as a contact (if you remember several days ago). Even though I'm an IT person (unfortunately), my first passion in my life had been aviation/flying/aerospace. I wanted to be pilot as I was a young kid. Too bad, circumstances in my life were circumvented and I ended up being where I am. I live in SF bay area, california but am looking to make contact with aviation professionals throughout the world. I feel as a woman, you are a powerful inspiration to not only a person who wants to pursue an aviation career, but more so to any woman who wants to pursue this dream. Its indeed a pleasure to read your blog. I think any woman in this career must have overcome something in her life which made her do this possible. I have a 12 year old daughter who talks about being a pilot someday when she grows up (and hence follow my unmet or unsatisfied passion as I was growing up). Hopefully you can be an inspiration to her. She keeps talking about being an aviator and author someday and who can be the best inspiration than you? Hopefully you will write her an email with few words of encouragement, would you? She is a smart kid btw. Regards and good luck and keep rotating those airliners past V1! Hello Mohan, Thank you for your kind words. I would love to be a spot of inspiration for your daughter. It's amazing how many children find the passion of their parents unmet dreams. I know she will accomplish anything she sets her heart to. I will definitely email her. Can you send me her email address? Thank you. ENOUGH---Stop Bragging,,,Your NOT "ALL THAT". Wow! this is very very impressive Karlene! I wish you just the very best in all your future endevours. Henry, Thank you so very much! I really appreciate your support. I sure do appreciate your emphasis on family. My wife is a very talented nurse, yet chose to remain home and raise our four children. Her dedication to our family has paid off over and over. Thank you for emphasizing family. Mike, Thank you so much for the nice comment on family. I think a lot of the equation is stability. A team effort between you and your wife. Kids need their physical needs met, but also emotional. Security and love are huge. It's so nice to hear your support of your wife. Keep up the good work Karlene!! Nice to know about the aviation thriller. Well if it is as what you describe you could also think of the Indian Bollywood. Its big time. Well I would love to read it. These topics excite me a lot. I have visited your website and it is beautiful, Congratulations for all the achievements and wish you all best for all the new ventures. Thank you so much! I really appreciate your kinds words. Captain Petitt thank you so much for your reply to me on twitter. Ma'am you are an inspiration to women,nay,human beings everywhere. How you've managed to achieve so much in life professionally & also the hardest part of all to successfully raise such a beautiful family is brilliant. You are obviously making quite a name for yourself in the USA.I think it's only a matter of time before you are 'cleared to land' here in Europe too! John, Thank you so very much for the beautiful comment. Yes...the family was the hardest, and you know... the most rewarding. Thank you so much! And I love Europe. I will be there more often! Frank, Thank you so very much. You comment means so very much!!! The Iron Lady of Aviation. Lol... Thank you for the smile!!! Congratulation for great achievements in your career and being a loving Mother for your amazing family. Am so proud of you. Am a Tanzanian- (East Africa) 23years old passionate about aviation since was 6 years.I have been using flight simulators with hopes of join the aviation after finishing my advanced level education. Unfortunately couldn't afford since due to financial constraints so i opted to go for a degree in business computing then will raise the cash for my aviation course. During my first year in University i discovered that their some fellow youths around who have failed to reach their dreams due to lack of mentorship in related field and financial challenges hence motivated me to start a magazine which will educate and inspire youth to achieve their careers. Am currently look for the aviation scholarship so that i can start my aviation journey with the dream and passion of helping other youths around to achieve their aviation dreams. With your future plan of "Giving back to the Aviation industry, by supporting and inspiring future pilots." I believe you can think of also engaging in supporting youth in East Africa who are passionate in aviation to achieve their dreams. I love the great feeling of being the part of completing people's dreams especially when they have just landed to their destination. Good luck in your aviation dream, Amin! You are not alone in that pool of pilots who want to fly and working hard, short on funds. In the search box, type how to build hours, flight time... etc, and see what I've written on the subject. And google search scholarships. There are many out there, but you have to look. Also type in Aviation 101. One thing I about this career... is it's hard because it's supposed to be to make better pilots. You will become one of the best! Keep working hard and you will make your dreams come true. I am so glad to have read your blog which is truly motivating. Well my question might be similar to plenty out there with the love and passion for aviation and flying. I have held this dream close to my heart for a long time. I am 32, not a US citizen have an engineering degree with a Masters in Business Administration..have been evaluating the path ahead..whats pausing the decision making is the time, money and chances of employment..I'd like to work for Fedex one day..what would your suggestion be based on the real and practical picture..
Hi DeepB...Thank you so much for the nice comment. About your dreams... I think you need to be a US citizen to work for FedEx. I wish there was better news. I would recommend talking to them. Thanks Karlene.. My specific question to you is on flight training..considering the 1500 hr rule and flying costs could suggest what path should be taken..how long do you think it would take to reach there and any specific flight schools you might have in mind or heard of..is it the right age to enter ? How many years before I could be employed ?what my grad or undergrad degree help ? Deep, this is not a discussion to have on a blog commenting section. It would be better to email me. Karlene.petitt@gmail.com. However, type in a word search about hours, career, etc into the search box above and you may find related blogs and can respond to those. Thank you! Appreciate your glorious career as Pilot & writer. contest entry! Was it a short story, then? your blog will still be going strong!!! Dan, Thank you so much!!! 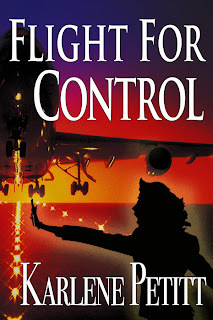 Actually Flight For Control was a novel I entered into the PNWA contest. It was a huge honor to get noticed for a first novel. Thank you... a great day in April, 2018!! !